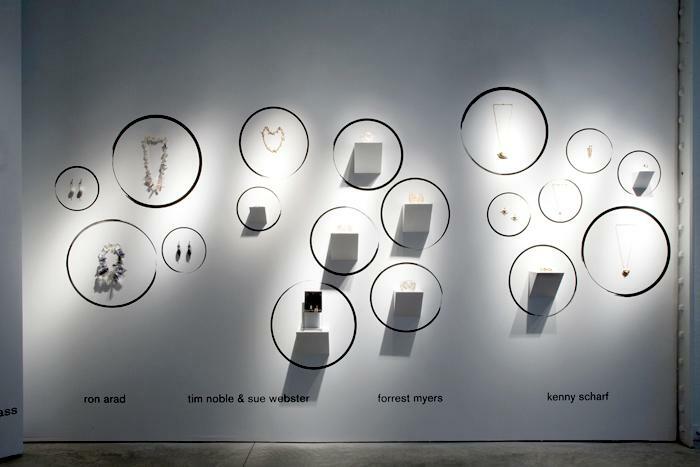 Oct. 2008, New York – Private jewelry dealer afsoun presents zerocarat, an exhibition of unique and limited edition works of jewelry by some of the 20th century's most recognized artists and architects, in collaboration with Friedman Benda gallery. 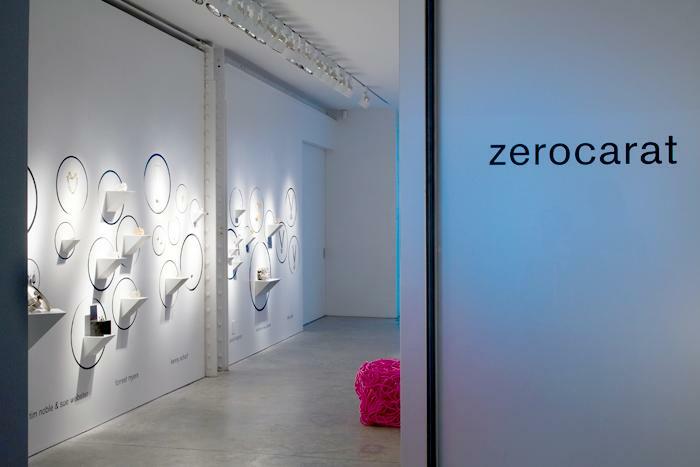 zerocarat, afsoun's first gallery exhibition, will be on view at Friedman Benda gallery at 515 West 26th Street in New York City from December 11, 2008 to January 16, 2009.
zerocarat brings to light little-known works of jewelry by world-famous artists including Ron Arad, Louise Bourgeois, Lucio Fontana, Louise Nevelson, Michele Oka Doner, Kenny Scharf and Ettore Sottsass. 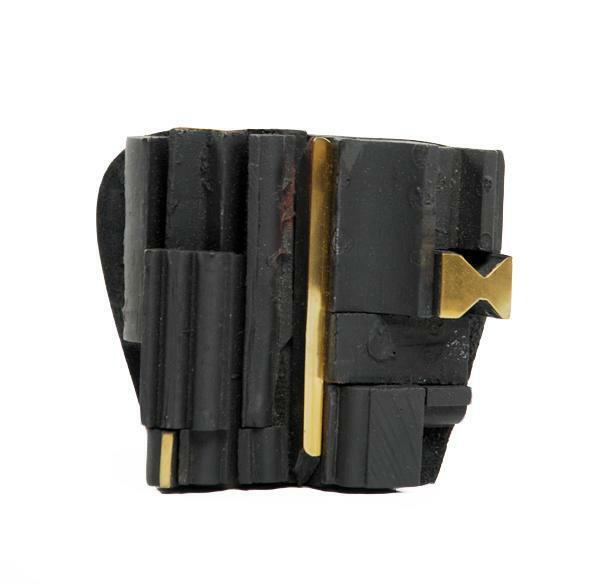 The jewelry, works of art as diverse as their creators, brings a fresh and compelling view to the medium. 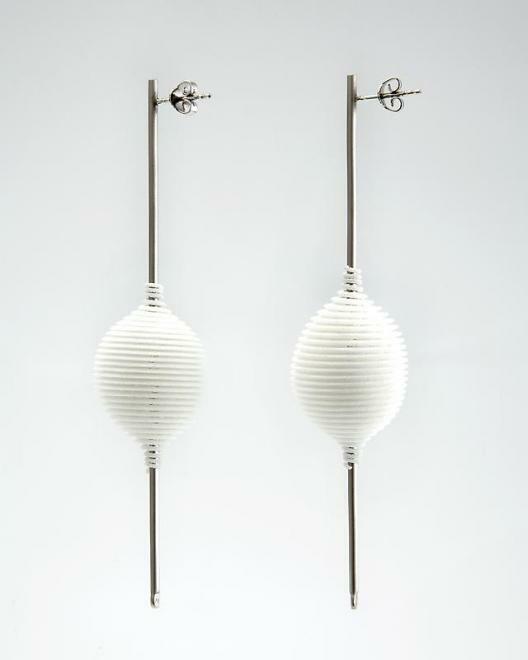 "Each piece is an intimate object that demonstrates a genuine sensibility for the art of jewelry and the artist's desire for the work to be worn," said Sara Benda of afsoun. 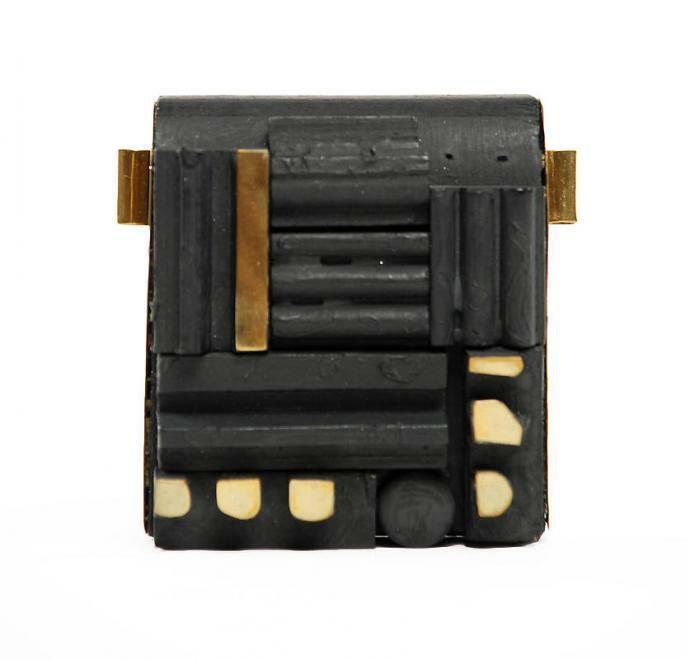 Of particular note in the exhibition will be a group of twenty never-before-offered necklaces acquired from the estate of Louise Nevelson—each a unique assemblage of painted wood and brass created in the 1970s and 1980s. 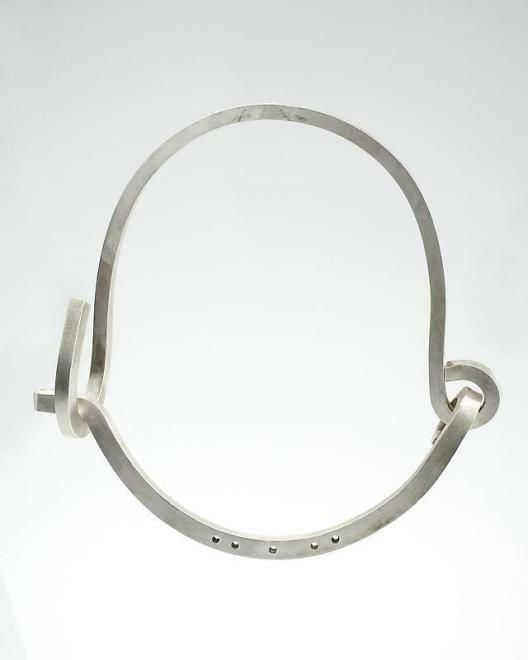 By Louise Bourgeois, afsoun presents "Collar", a silver necklace the artist first created for herself in steel in 1947. 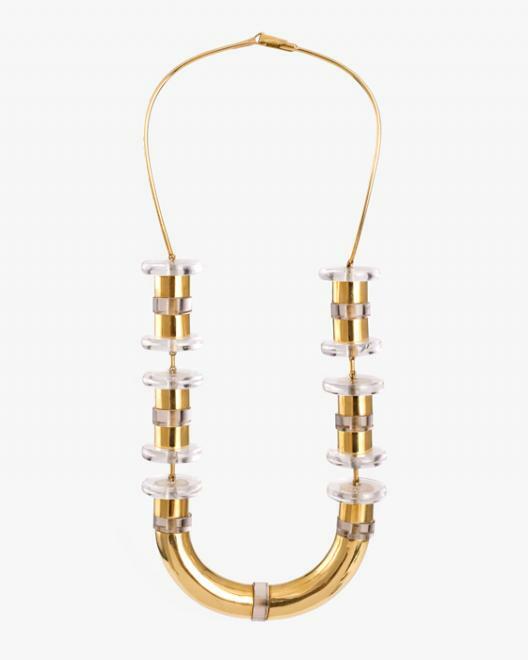 By Ettore Sottsass, a unique, important necklace in 18k gold and acrylic made in 1967, and by Lucio Fontana, a 1969 lacquer and silver bracelet that translates his celebrated perforated canvas into jewelry. 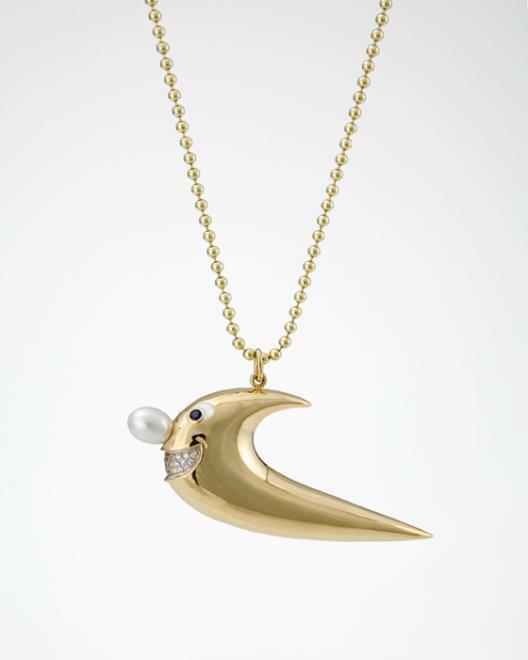 Kenny Scharf's pieces mark the artist's first series of jewelry. 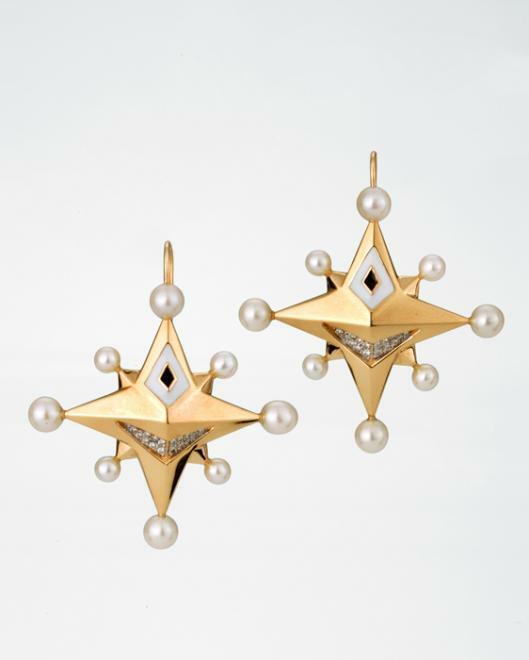 Using diamonds, sapphires, pearls and enamel set into gold, Scharf has created three pendants, a brooch, a ring, a bracelet and a set of earrings. This new body of work connects art to popular culture and is reminiscent of the iconic characters populating his paintings and sculpture. Ron Arad pushes the boundaries of material and process by combining precious metals with cutting-edge technology to create an extendable, flexible spiral that allows a set of earrings to be designed to the wearer's will. Made by the hand of the artist rather than the machine, Arad has also created a series of unique playful necklaces made of silicon, exploring the transparent properties of a material that belies its true characteristics. Michelle Oka Doner creates delicate yet substantial jewelry with a unique vocabulary inspired by nature. Bracelets and necklaces in zerocarat appear like ancient coral reefs in bronze and gold. 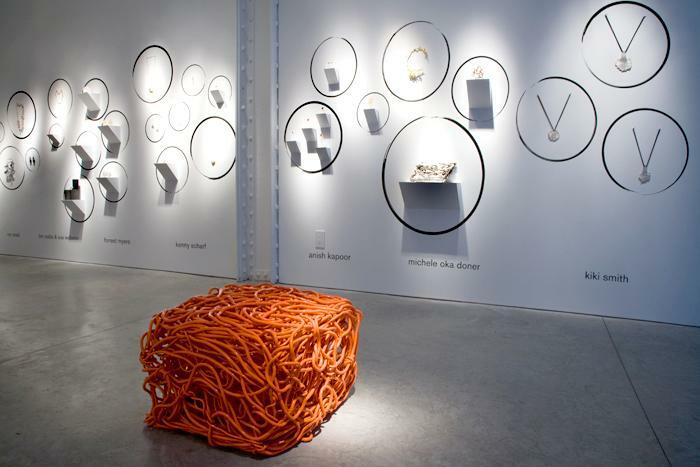 Jewelry works by artists featured in zerocarat are included in prominent museum collections such as The Stedelijk in Holland, Centre Pompidou in Paris and The Museum of Art & Design in New York City. 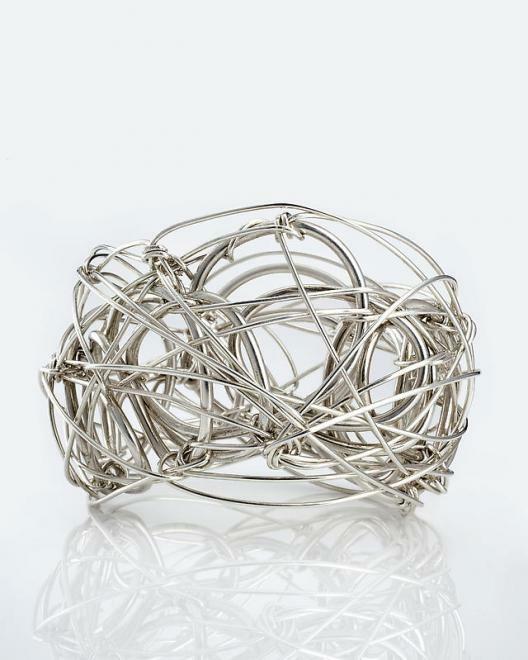 afsoun deals in unique and limited edition works of jewelry by some of the most recognized contemporary artists and architects of the 20th and 21st centuries. Founded by Sara Benda in 2006, afsoun is at the forefront of a fast-growing, prominent community of passionate collectors of jewelry. 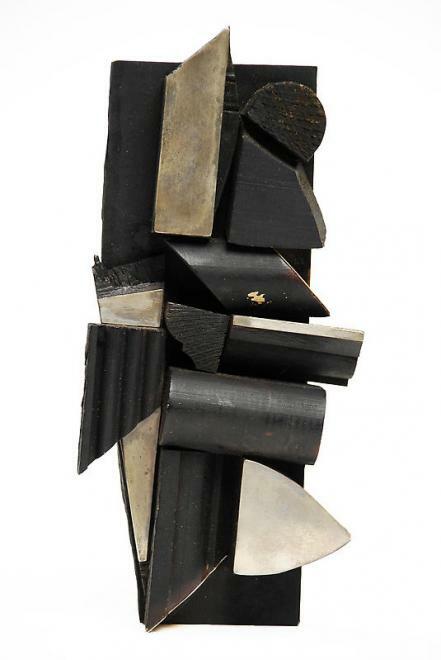 afsoun includes work by Ron Arad, Gijs Bakker, Dror Benshetrit, Louise Bourgeois, Lucio Fontana, Louise Nevelson, Marc Newson, Michele Oka Doner, Gaetano Pesce, Kenny Scharf, Ettore Sottsass Kiki Smith, and Herve van der Straeten. 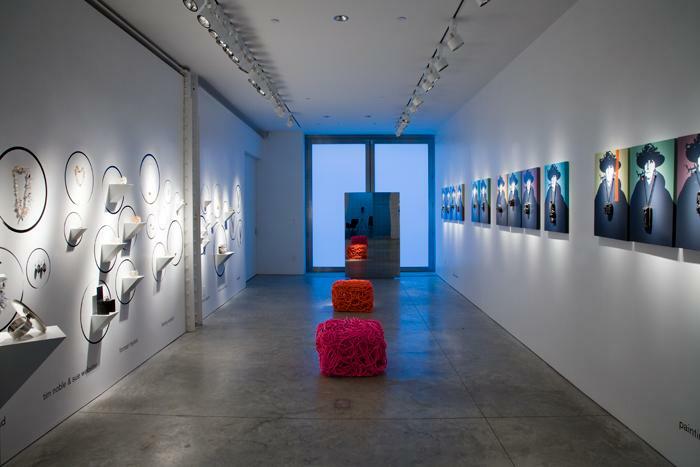 In 2008, afsoun produced its first collection of jewelry by the renowned artist Kenny Scharf.